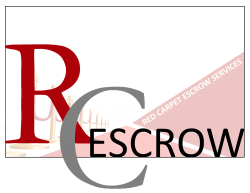 Thank you for allowing Red Carpet Escrow the opportunity to do business with you. We want to make sure that your next transaction with Realty World ALL STARS and Red Carpet Escrow is even better! To accomplish that, we need to hear from you! Please complete this short customer survey. We appreciate your input and opinion.